The first thing that is different between the London and Orlando experience is the now customary pre-show that almost all attractions here in Florida provide. A 4D IMAX-styled whirlwind tour of Central Florida with cheesy acting but breath-taking visuals get you in the mood for the ride ahead. There is even a section where you get to "ride" a rollercoaster for a few seconds! 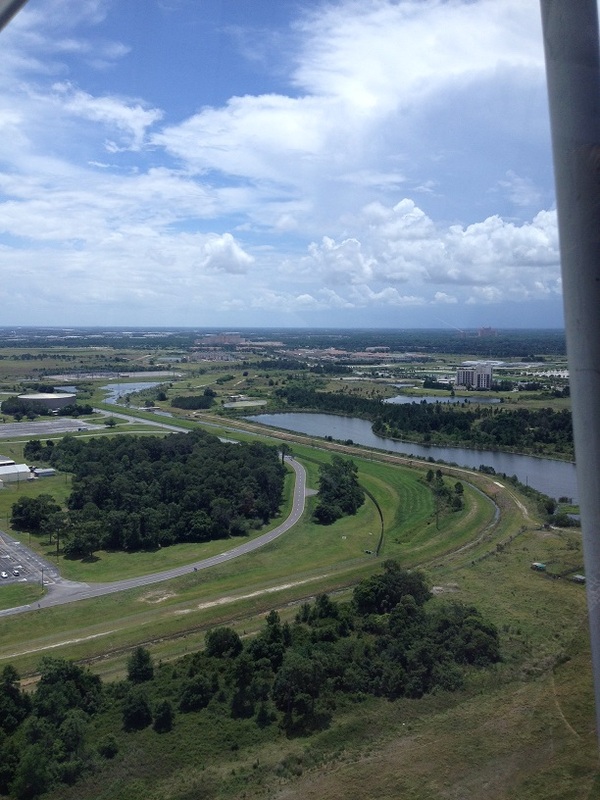 The next difference is the queue management boarding the wheel, this is one area where Orlando excels and it felt like no time at all before we were in our capsule and on our climb to the 400ft summit. 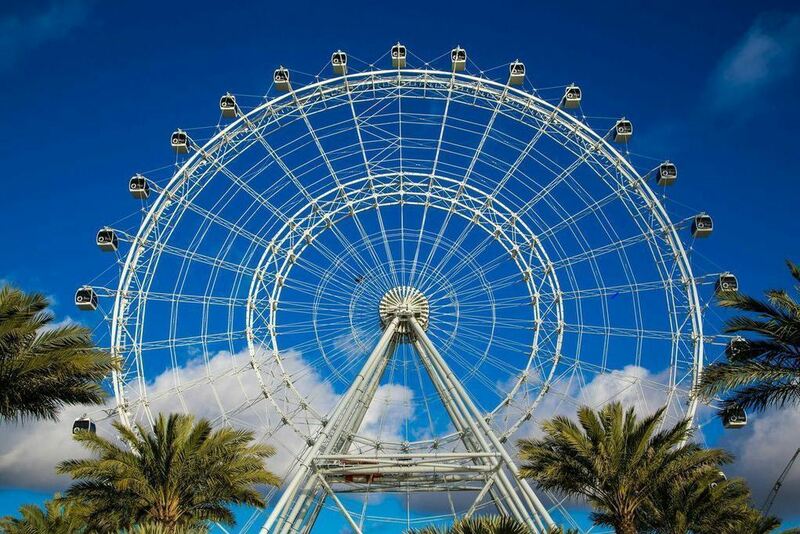 The one noticeable difference between the London and Orlando Eye is the number of sites that can be seen whilst on the 25 minute voyage. Orlando is much less densely populated than London so although you can see further without obstruction, there is definitely less to see. That being said, there is still enough to keep you testing each other's local knowledge of the more well-known landmarks and some of the more obscure. 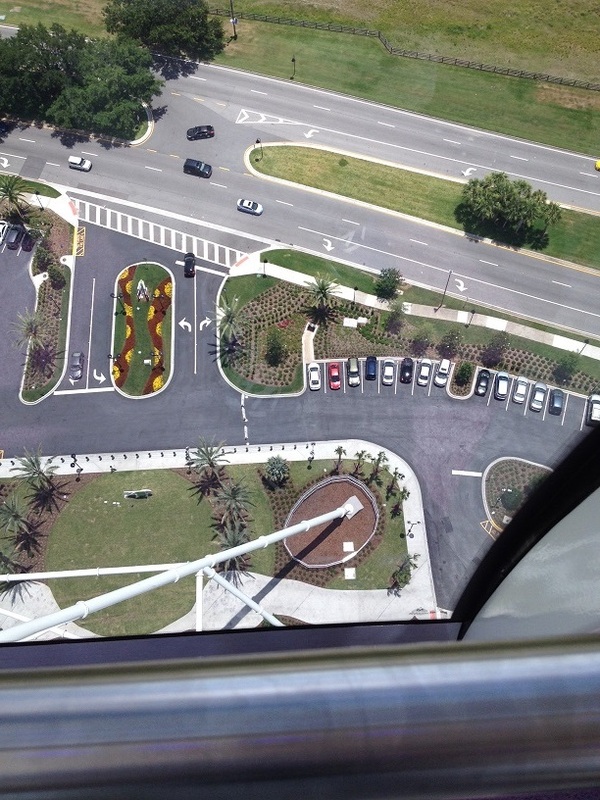 This is a great addition to Orlando's skyline and is something quite different to the usual fare and is well worth a look. We highly recommend though that you take advantage of the offers available online where you can combine this with the Sea Life Aquarium and Madame Tussauds attractions that are all on the same site as the Eye. For only a few extra dollars you can do all three and it is much more value for money!